I've always believed that surfing is the perfect bait for tourism in the Philippines. What we lack in infrastructure, we make up for in the abundance of breathtaking beaches and powerful surf breaks. It's been my goal to explore all, if not most of the surf spots in the Philippines and help promote our country as a premier surfing destination in Asia. So far, I've explored most surf spots in Luzon like my home break in Baler, Aurora. I'm regularly in Zambales for the Passion Play surf yoga retreat. I've brought friends to La Union and Bagasbas Beach in Camarines Norte. In Mindanao, I have surfed in Cantilan, Lanuza and most recently, Dahican Beach in Mati. That seems like a lot but there's a lot more, undiscovered places in the Philippines that are perfect for stoke addicted travelers like me. And that's why I've been longing to surf the country's Majestic Waves. Next week I'll have a chance to just that and even witness the Majestic Puraran Surfing Cup 2012. This event will be held from Oct 19-23, 2012 at Puraran Beach, Baras, Catanduanes. If you're a surfer or surfing enthusiast, please join me and my friends. There will be a Men’s Open, Junior Men's Division and Grommet Division. They are giving away cash of up to 50,000 PHP and other product prizes. 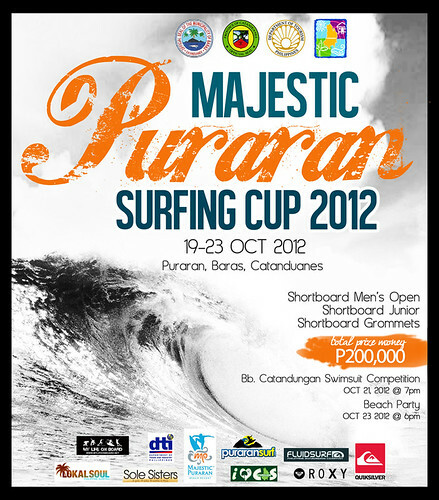 You can check out the event details and online registration form on Majestic Puraran Surfing Cup. 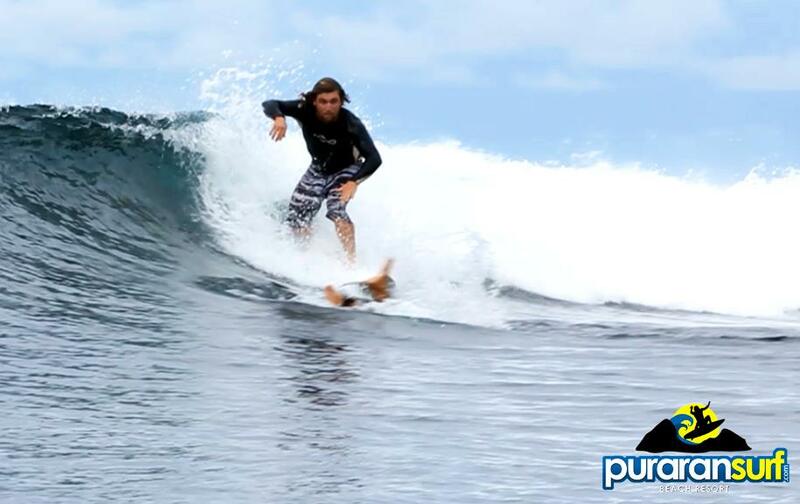 For inquiries you may also email info@majesticpuraransurfingcup.com. Online registrations is open until Oct 19, 2012. Let's help promote surf tourism in the Philippines by checking out the Majestic waves and supporting the Majestic Puraran Surfing Cup 2012! My Puraran surfscapade is sponsored by Puraran Beach Resort. You can also Like them out on facebook..